Life Alert® Protection is the #1emergency response company in the U.S.A. for 30+ years. We save a life from a catastrophe every 11 minutes! Life Alert is a Personal Emergency Response and Home Medical Alert System company that saves lives from catastrophic outcomes, using a unique technology to provide superior home audio monitoring protection. Founded in 1987, Life Alert provides its service to members nationwide. The company employs over 600 people, all in the United States. The company’s service solves a major home security issue. Life Alert’s protection helps people to live at home with independence and comfort, living their lives the way they want to, with a feeling of safety and peace of mind. 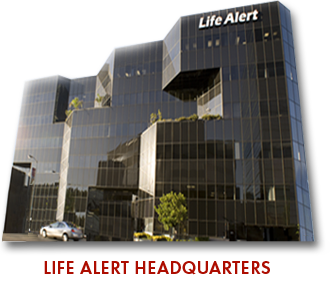 Life Alert handles over two million calls a year, and on average saves at least one life from a catastrophic outcome every 11 minutes (over 46,000 in 2016) In Life Alert’s Security Center, the size of its emergency staff per member is 200% greater than a traditional security company. Thanks to a greater sense of security, a 2004 ACNielsen study showed that 87% of Life Alert members stated that Life Alert’s protection is a main or important factor in their decision to keep on living alone at home. For safety, security and emergency protection, Life Alert is the choice for all ages.